Do you think you need to know a lot about classical music before attending a Knoxville Symphony Orchestra (KSO) concert? Did you think you should know the definition of pizzicato and arco before you can fully appreciate the soaring string sounds of the Symphony? Join the crowd! Many people think they must be familiar with classical music BEFORE they can enjoy a symphony performance, but this is simply not the case! 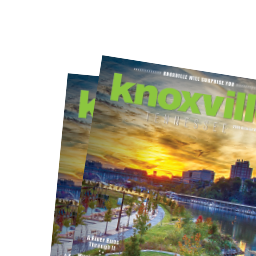 The Knoxville Symphony Orchestra is the largest musical institution in Knoxville and third largest in Tennessee. The KSO offers a variety of concert series from September through May and not one requires prior knowledge—just an open mind and an excitement to hear great, live music. Here are four myths about going to a Knoxville Symphony Orchestra concert – BUSTED! Myth #1: Classical music isn’t for me. Believe it or not, classical concerts offer something for everyone. Whether it is a relaxing escape from a busy week, a walk down memory lane, or the thrill of hearing a new piece for the first time, there is so much to experience at a KSO performance! The KSO has multiple main stage series that occur between September and May of each year. Staples in the classical music repertoire occur on the Moxley Carmichael Masterworks Series – eight pairs of concerts featuring the full orchestra playing the greats: Beethoven, Copland, Rachmaninoff, Tchaikovsky, and works by great living composers, too. 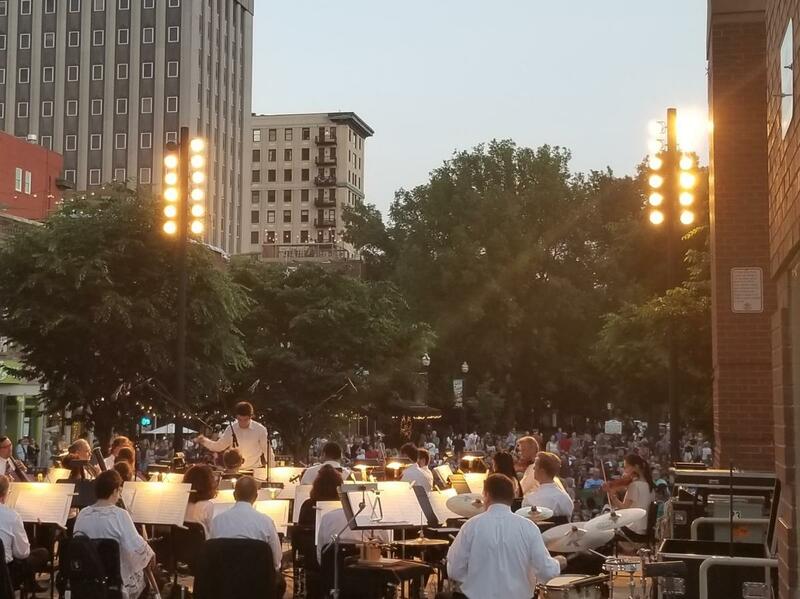 Alternatively, the KSO performs six pops concerts per season (on the KSO News Sentinel Pops Series) with musical tributes to the stars of Motown, the Beatles, Abba, Led Zeppelin, Journey, and the best of Broadway. Featured guests on the Pops Series have included Bernadette Peters, Peter Cetera, Mary Wilson of the Supremes, and Leslie Odom, Jr. Smaller ensembles play the KSO Q Series, KSO Concertmaster Series for a more intimate concert experience. The KSO launched a new concert option, KSO UnStaged, wherein music-centric experiences take place in unconventional venues such as a brewery or an airplane hangar. Under Aram Demirjian’s leadership, KSO audiences have continued to grow, and the orchestra has routinely found itself in the regional and national spotlight, including two appearances on the Big Ears Festival. In 2020, the KSO will be one of four North American orchestras featured in SHIFT: A Festival of American Orchestras at the Kennedy Center in Washington, D.C. The KSO artistic vision supports the notion that there is power in celebrating living composers. Aram Demirjian, the KSO’s vibrant young Music Director, often programs new and living composers on Masterworks and Chamber Classics concerts. Recently, American composer Michael Schachter sat in the audience listening to the world premiere of his piece, “Overture to Knoxville,” commissioned for the KSO and inspired by our city. In the 2018-2019 season, patrons can look forward to hearing rarely programmed female composer Clara Schumann (Piano Concerto in A minor) and living composer Jonathan Leshnoff (“Starburst”). The KSO shines a spotlight on an array of music that pushes theenvelope while paying respect to those who paved the way for classical music. Visually, the KSO is an exciting experience. Music Director Aram Demirjian is known for his dynamic performances, innovative programming and distinctive ability to forge connections with both audiences and performers. It’s what audience members bring into the concert hall that will determine their experience. Many folks can sit and listen to the same music, but each be affected differently. Myth #3: It’s expensive and I have to dress up. Many do not know that tickets to KSO classical concerts cost just $15. This measure was implemented to ensure all East Tennesseans have the ability to enjoy the KSO. There is no dress code to attend the symphony. Attire ranges from a suit to a sports coat, from a cocktail dress to casual wear. Patrons are encouraged to come in whatever dress makes them comfortable in this setting. We simply ask that patrons do not bring weapons, backpacks, or food and drink. Other than that, sit back, relax, and enjoy. 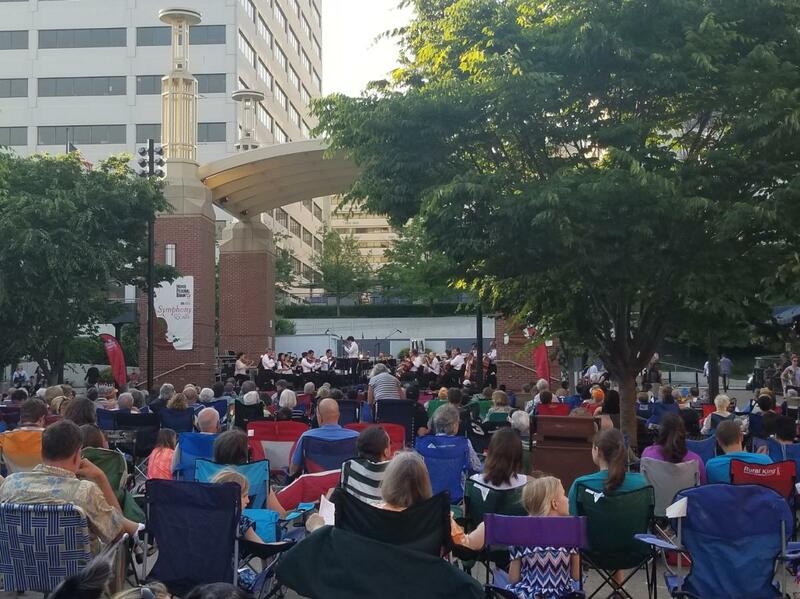 The KSO also offers free community performances such as Library Story Times, performances on Market Square, and the KSO’s Free Pilot-Flying J Independence Day Concert on July Fourth. The KSO is proud to partner with the Penny4Arts program, which provides free tickets for K-12 students with the purchase of an adult ticket to a Masterworks or Chamber Classics concert. Student rates are also available for all main stage concert series. We invite those with elementary-aged students to check out our Very Young People’s Concerts and Young People’s Concerts. Twice a year through approximately eight performances, the KSO provides young people with a full symphonic experience designed specifically for them. The KSO’s Young People’s Concerts are geared toward students in grades 3-5 and the Very Young People’s Concerts make classical music fun for students K-2. Visual elements, props, costumes, and engaging guest performers create a magical learning opportunity that exposes young audiences to classical music in a fun, participatory way. A field trip to the Symphony may be the first, and in some cases ONLY, orchestral concert that child experiences in their lifetime! These performances are all less than $10 per ticket and many school groups take advantage of this one-of-a-kind field trip. Myth #4: The KSO isn’t relevant to our community. Of the 300 performances the KSO performs each season, 85% of these take place OUTSIDE the concert hall in churches, hospitals, classrooms, parks and libraries. 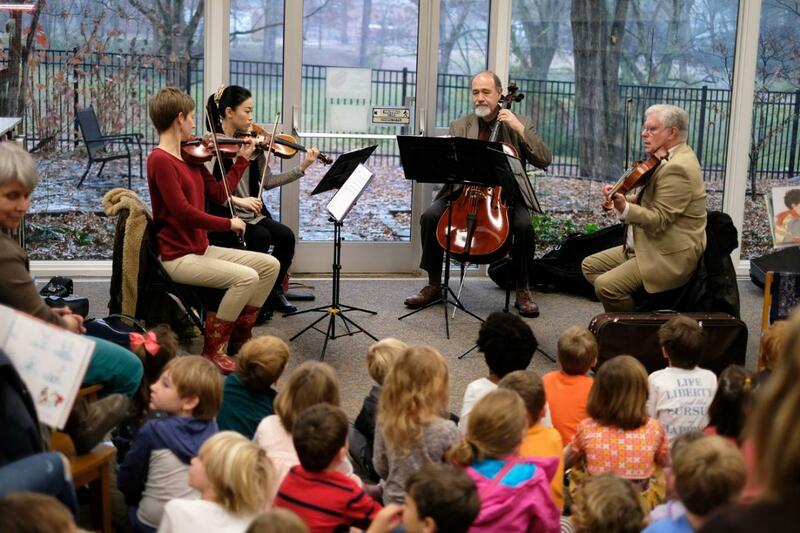 The KSO has a Story Time String Quartet which helps your favorite story books come alive with music, free of charge. This is where we see some of our youngest audiences become excited and engaged with live music. One of the most significant ways the KSO serves the community is through the Knoxville Symphony Youth Orchestra (KSYO). Each year, more than 400 students audition and are placed in one of six ensembles in the KSYO based on experience and skill level. The KSYO performs four concerts per season and in 2017, won first place in their category at a National Orchestra Festival in Atlanta – the first time the KSYO has traveled to a competition. Through the KSYO, these young musicians ranging in age from 6-18 are able to train with professional musicians and coaches in addition to performing with an orchestra. 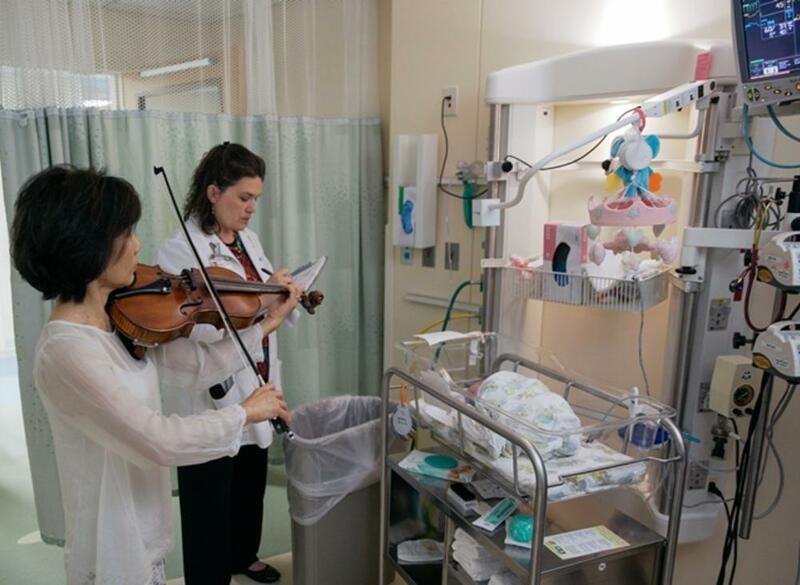 Did you know you may encounter a violinist in your hospital waiting room? The KSO’s nationally-recognized Music & Wellness Program serves the public by placing a solo musician and/or a string quartet in local chemotherapy treatment bays, oncology inpatient floors, cardio-vascular in-patient floors, the cardio-vascular ICU, the neo-natal ICU, brain injury rehabilitation areas, senior care in-patient floors, and hospital waiting areas. These specially trained musicians provide live musical performances that enhance the healing process and benefit patients, visitors and staff in healthcare settings. The KSO has 80 professional musicians on its roster, and frequently hires local guest artists and collaborators. There are 24 full-time, core members of the Orchestra and more than 60 part-time musicians. These local musicians teach in our schools, play in our churches and offer local students private music lessons. They are active, participating members in our community who come together to make beautiful music in the KSO! What other myths have you heard about the symphony? Let’s bust them! For more information, upcoming events, and to purchase tickets (on sale Monday August 13) head to www.knoxvillesymphony.com or call 865.291.3310 option 4. Connect with the KSO on Facebook, Twitter, and Instagram. Rachel Dellinger has served as the Director of Communications for the Knoxville Symphony Orchestra (KSO) since 2012. She is responsible for media and community relations, web and social media, and public relations/marketing efforts for the KSO. 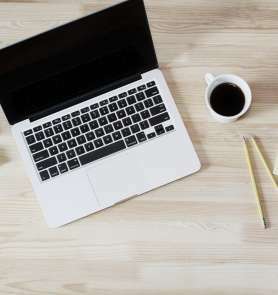 A Knoxville native, she graduated from the University of Tennessee with a Bachelor's degree in Communication where her passion for publicizing the arts was fostered. Rachel has served on several nonprofit boards including the Young Professionals of Knoxville (2016 President), Knoxville Rotaract Club (secretary & charter member), Tennesseans for the Arts (East TN Vice President), and the Tennessee Stage Company (marketing chair). She is passionate about connecting, supporting and working with people in any capacity and enjoys grammar, her dog Wally, and live performance of any kind.